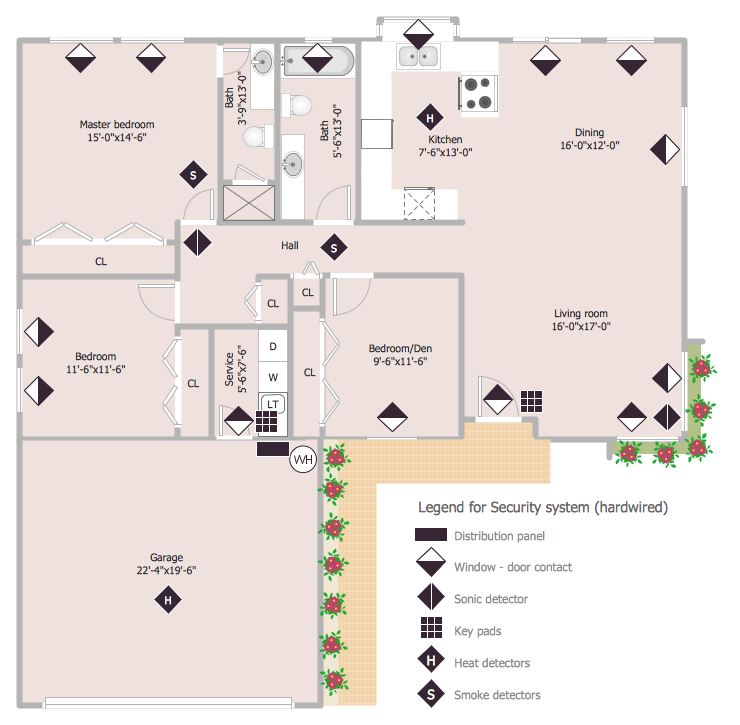 When you are dealing with floor plans for your office or home, it's good to have a security and access plan as well. Any equipment that is responsible for certain aspects of security can be incorporated into a security and access floor plan. Ability to create a security and access plan in ConceptDraw DIAGRAM is contained in the Security and Access Plans solution. This solution supplied with three libraries that contain more than 100 vector stencils of security and access equipment. Open the Security and Access Plans library. Also, libraries from the Floor plans section can be used for floor plan creation. You can use a multiple layers when creating different parts of your Security and Access Floor Plan. To move an object to another layer, simply select an object and choose a desired layer from the drop-down menu in the Info panel. The functionality of layers, enables you to show/hide multiple details. For example — you can show or hide the Security detectors placement. Result: You can use ConceptDraw DIAGRAM to make the security and access plans for your office simple, accurate and easy-to-read.